From concerts to ball games to amusement parks and beyond, there's a variety of activities that just aren't as fun if you're lugging around a big purse or wallet. 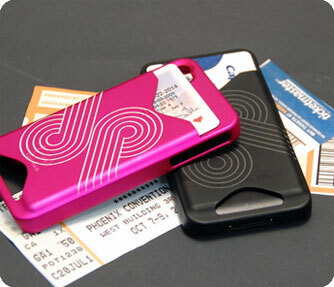 These ID/iPhone cases make it easy to have the things you need most without weighing you down. We used a 40-watt Helix with the following settings: 100% speed, 35% power. Draw a vector box around the design, turn on the red dot pointer and run only the vector job with the lid open to ensure your engraving is in the right place. 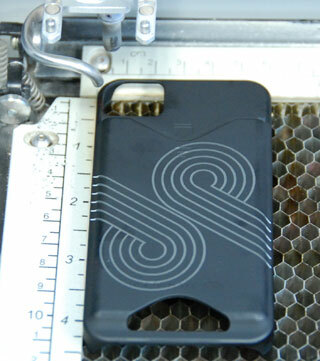 Once you're happy with the placement of the design, remove the vector box and send the job to the laser! 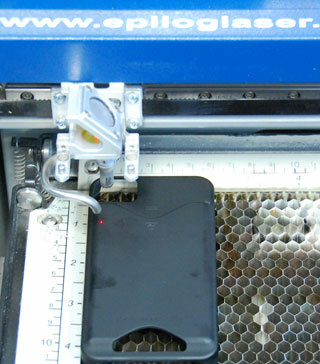 We'll send you a brochure, as well as engraved and cut samples created with the laser. Visit our full Sample Club for more ideas of what you can create with a laser system from Epilog. View our full line of Co2 and Fiber laser engraving and cutting systems to see which is right for you.